Okay you finished a big knitting or crochet project that was long pending but are left with scraps and many short ends. wondering what best can be made out of them? 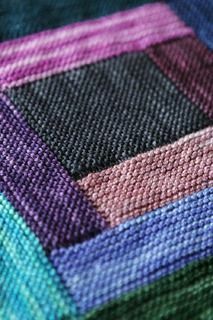 try this gorgeous Log cabin pattern shared by Cara at her website www.januaryone.com. This pattern can be made into a quilt, baby blanket,shawl,table top,bag or anything that fits right. Cara has used beautiful colours in this project. What would you plan to make out of this one? Follow a step by step instructions given by cara HERE.